Gaz Regan finds it tough to stay on top of his creative game, but luckily for him – and us – there are plenty of bartenders out there who find it a sinch. Bartenders like Anthony DeSerio, creator of the regal-sounding King Louie the 4th. 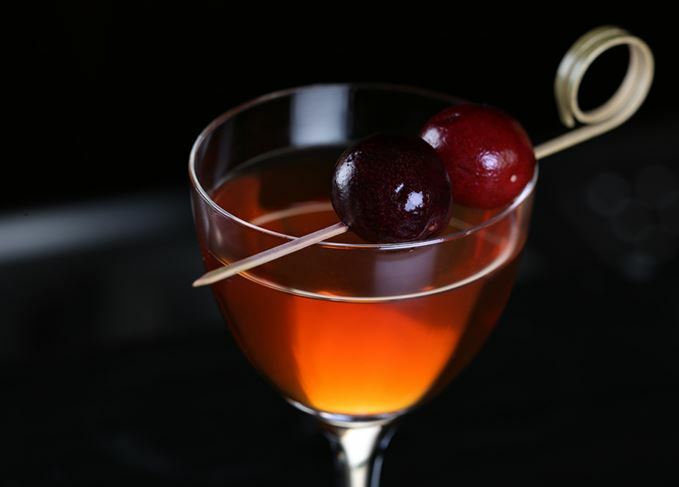 King Louie the 4th: a Vieux Carré with more than a few tweaks. ‘Whisky is a grouchy old bachelor that stubbornly insists on maintaining its independence and is seldom to be found in a marrying mood,’ wrote David Embury in his 1952 book, The Fine Art of Mixing Drinks, and he wasn’t too far off the mark, but there are some stunning whisky cocktails being served by creative souls all over the world these days, and King Louie the 4th, a drink that Connecticut bartender, Anthony DeSerio came up with recently, is one of them. I’m the first to admit that I’m not the most imaginative person on the face on the earth when it comes to devising new drinks, though I have been inspired on occasion, and one of my cocktails, The Everest, comprised of gin, lemon juice, coconut cream and curry powder, was well received by the cocktail world when I first presented it in New York’s Pegu Club a few years ago. Most of my creations, though, are mere riffs on the classics. Take, for instance, Elixir d’Or, a drink I composed for the opening of Diageo’s World Class Bartender Competition in Athens, Greece, in 2010. It’s basically a Dry Rob Roy (Scotch and dry vermouth) made with Johnnie Walker Gold Label and enhanced with a scant half-ounce of Danziger Goldwasser, a herbal liqueur laced with liquorice, cinnamon and aniseed notes, and finished with flakes of gold leaf. Yes, gold leaf. It’s a pretty drink. As you can see, coming up with new potions based on old classic recipes isn’t too hard to do, and this is how DeSerio created his new cocktail, based on the Vieux Carré, a New Orleans drink that dates back to the 1930s. DeSerio, though, is far more creative than I, and he changed more than a couple of dimensions of this classic cocktail. It was a man by the name of Walter Bergeron, the head bartender at the Monteleone Hotel, who created the Vieux Carré, naming his new drink for the ‘Old Square,’ an area of New Orleans that we now call The French Quarter, and his mixture of rye whiskey, Cognac, sweet vermouth, Bénédictine, and both Peychaud's and Angostura Bitters packs quite a punch. DeSerio’s King Louie the 4th, though, is a horse of a very different colour. Using Monkey Shoulder blended Scotch as a base, he retained the Bénédictine, used Lillet Rouge instead of the sweet vermouth, and from there went pretty wild. He added some Tawny Port, a little high-quality ginger liqueur, and finished it off with a few drops of chocolate mole bitters. DeSario had completely changed the profile of the Vieux Carré to the point where, if the inventor hadn’t told me which drink he had used as a template, I would never have twigged it. King Louie the 4th, in my opinion, is so finely balanced that if we spread the word there’s a chance it could become a classic cocktail in its own right. I urge you to take this baby for a spin around the block, savour its nuances, and make some for your guests next time they pop over for a few bevvies. They’re bound to be impressed. Promise.